Five years ago I was pregnant with my third child, my first girl, and I was bit by the bug. 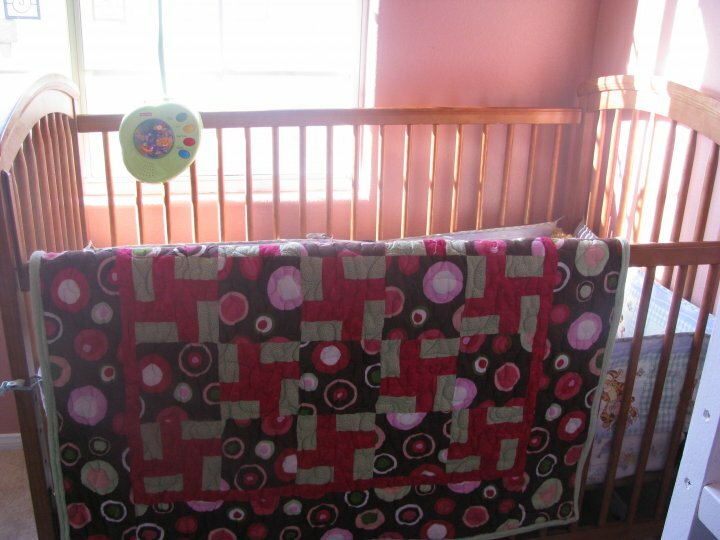 I searched for the perfect crib set for my little angel and couldn't find exactly what I wanted so I decided to take on what seemed the daunting, impossible task of taking the quilt in my mind and bringing it to fruition. As I worked and learned I found that my passion and my talent for quilting grew. 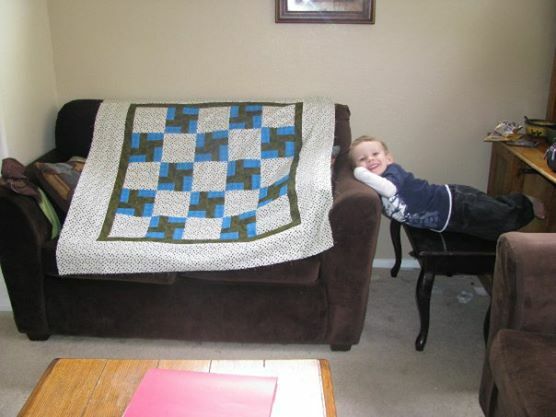 I was soon making quilts for all of my children, my nieces and nephews, my friends' children and even just blankets to throw around the house. 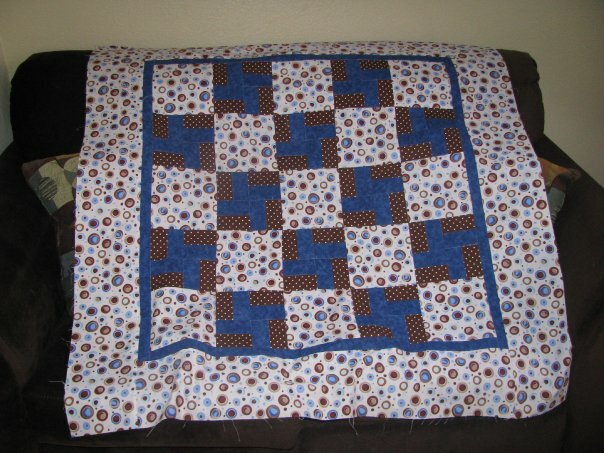 Now, much wiser and more experienced, I have done quilts for every holiday, season or occassion. From patterns and design to fabrics and appliques I have an ever growing arsenal of skill and experience. I mostly work with cottons, minky and fleece but also have experience with silks and satins. It would be my greatest pleasure to help take what you have in your head and bring it to reality. From concept design to fabric choice to sewing, I am here for you in every step of the process to ensure that you get exactly what you imagine. Whether you want intricate quilting design or simple quilting that lets the fabric be the star, your quilt will be a quality, functional piece of art. I look forward to joining you on your journey as you dream, design and delight in your new quilt!